This photo of the back side of the Ponce de Leon Hotel, taken from one of the towers at Flagler Memorial Presbyterian church, shows the beautiful gardens. You can view a high-resolution version of this photo at Shorpy Historical Photo Archive. A look inside the Ponce de Leon Hotel circa 1888. 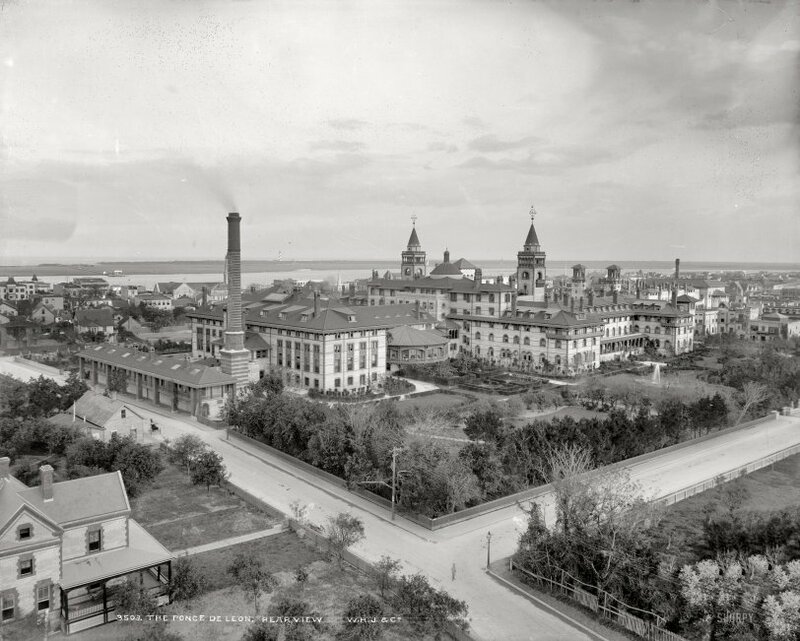 This postcard presents a view of the plaza, cathedral and the Ponce de Leon Hotel in the background as seen from a boat on the bay. The postcard is postmarked 1908. Photo courtesy of Florida Memory.